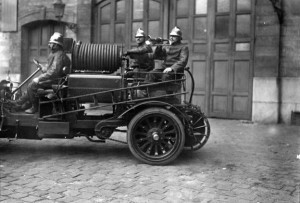 Premier-Secours à la Caserne de Château-Landon, avec un clairon doublant la siréne fixe pour alerter la During a “General alert, sound the alarm”, fire trucks rode through the busiest thoroughfare in Paris, sounding “At attention” either by warning horns or a bugle. 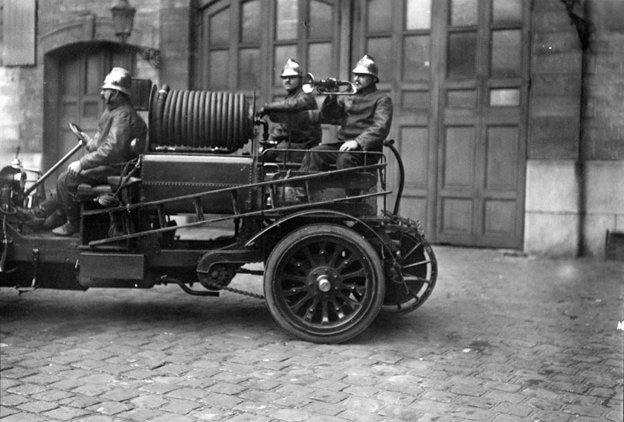 Then the population was informed that any danger had subsided by the ‘La Berloque’ bell © Paris, musée des pompiers. 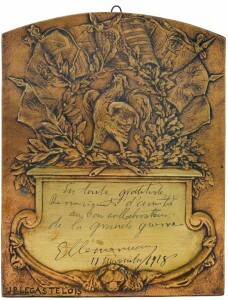 Georges Clemenceau, Grandeurs et misères d’une victoire, published in 1930, after his death. “The question is asked from all sides; […] Some people are asking that as soon as the news is announced, military bands spread throughout Paris and that the victory be greeted by The Marseillaise. Others prefer bells: that all church bells set in motion at the same time! It must be acknowledged that the firefighters’ chant, La Berloque, is also very much in demand. […] But above all, no sirens! […] What an abominable music that is!” writes Le Figaro of 11 November 1918. Already in the morning, a large audience was waiting near the Palais Bourbon gates, which were to open only at 1:30 p.m.; it was a feat to secure a spot in the Chamber. 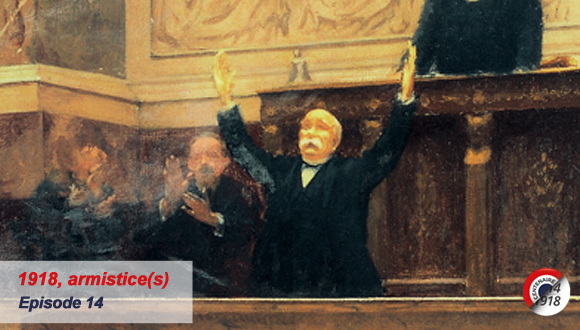 Around 4 p.m., Georges Clemenceau, President of the Council and Minister of War, arrived at the Palais Bourbon. 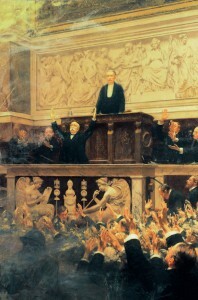 Having let the applause subside, he began reading the Armistice Convention. 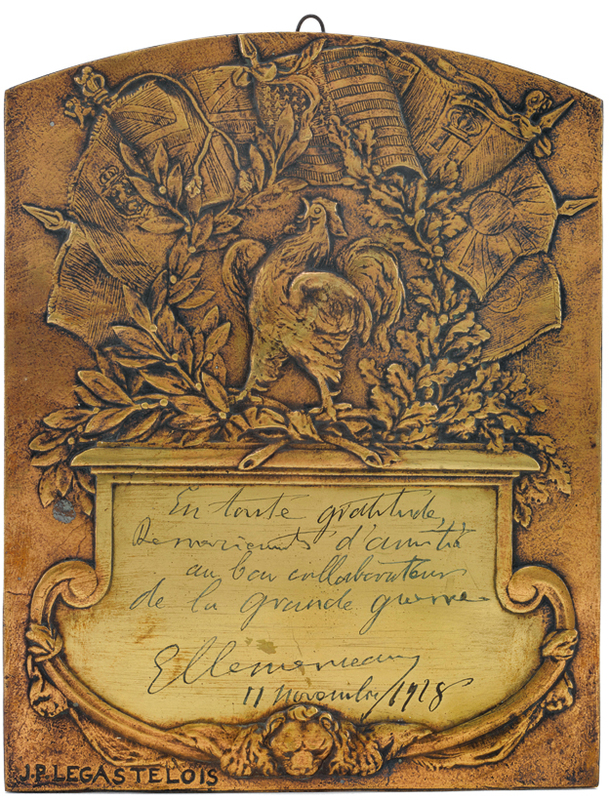 He then added: “In the name of the French people, on behalf of the government of the French Republic, the salvation of France one and indivisible, to Alsace and Lorraine regained. As well, honour to our great fallen who delivered this victory upon us!». He later made the same speech in the Senate, where an extraordinary session had been convened, in recognition of the importance of the armistice as an event.